The sound file I chose (Sound Number 34) to make a track from features people protesting Jeff Sessions and his racist agenda in the US. The woman leading this ‘street theater’ demonstration speaks with passion and urgency, and I wanted to position her voice as the main element of my track. My aim is to have the sense of alarm she conveys- the alarm I too feel in relation to the hateful rhetoric, unlawful behaviour and unconscionable agenda of Trump and the GOP- to be the driving force in my piece. 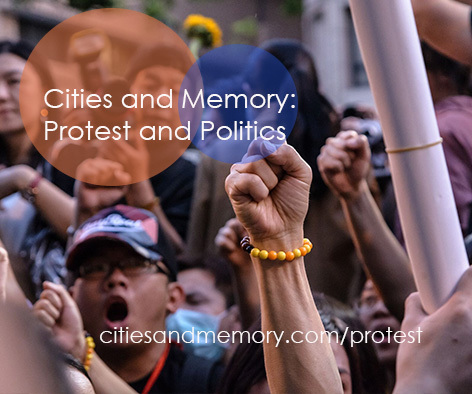 You are currently reading Protest and Politics / Cities and Memory at Laura Kilty.